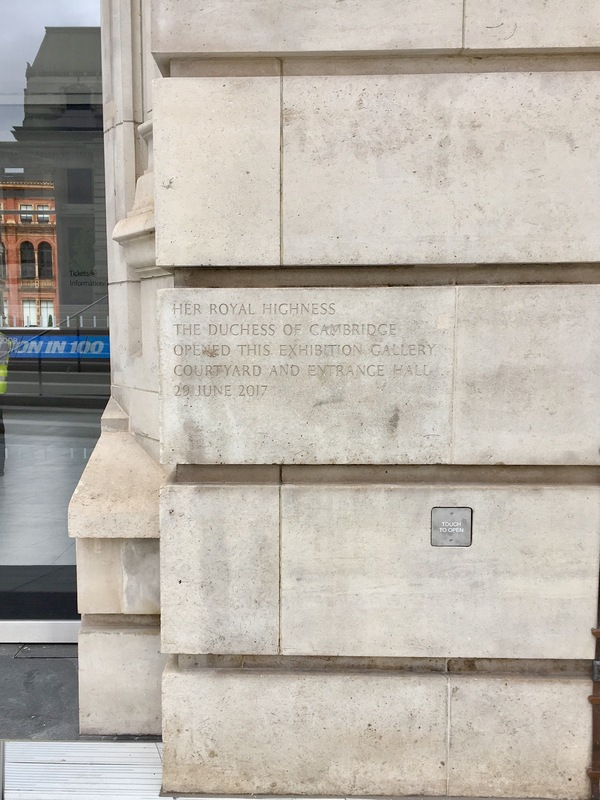 A day before its official opening by Catherine, the Duchess of Cambridge, I was invited along with a handful of journalists to view the reveal of the brand new Exhibition Road entrance to the V&A Museum in London. A project seven years in the making, the new entrance brings the museum right into the bustling heart of Albertopolis, the cultural learning centre envisioned and coaxed to life by Prince Albert. At the launch, the practical nature of the new entrance was revealed – an increase of visitors numbers from around 1.5 to 4 million per year meant that the current entrance was under strain, and the new Exhibition Road entrance was sorely needed to not only accommodate the influx of guests, but to also consolidate the museum’s place amongst its neighbours. 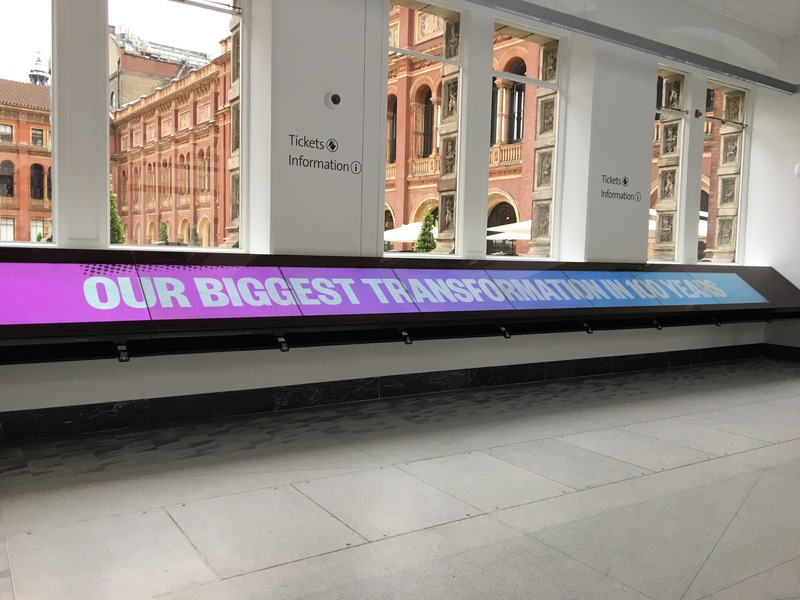 The new space incorporates a courtyard, cafe, and extensive exhibition place underneath, laughingly nicknamed Kensington’s largest super basement by the museum staff. 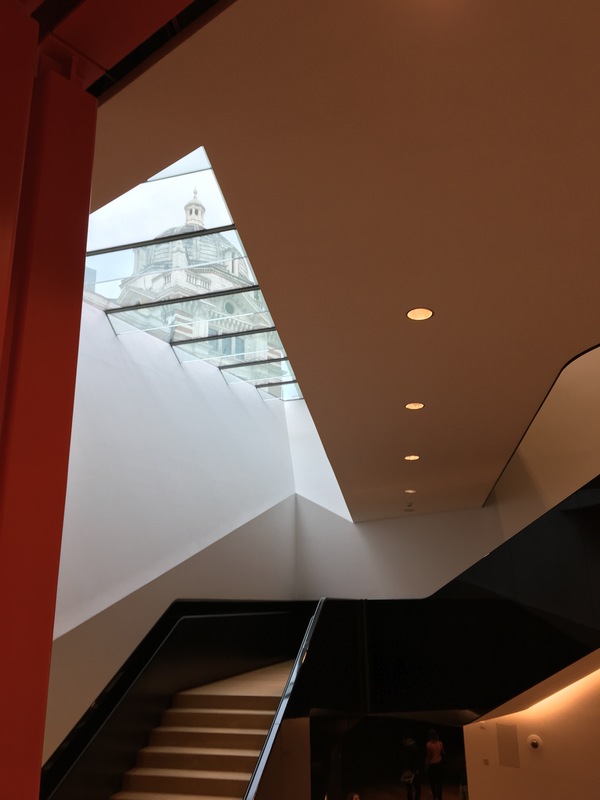 This space is not only a brand new area for the museum to expand into, but it’s also been constructed without pillars or intrusive supports, making it an incredibly versatile area. Before I get into that, though, more about the Courtyard! 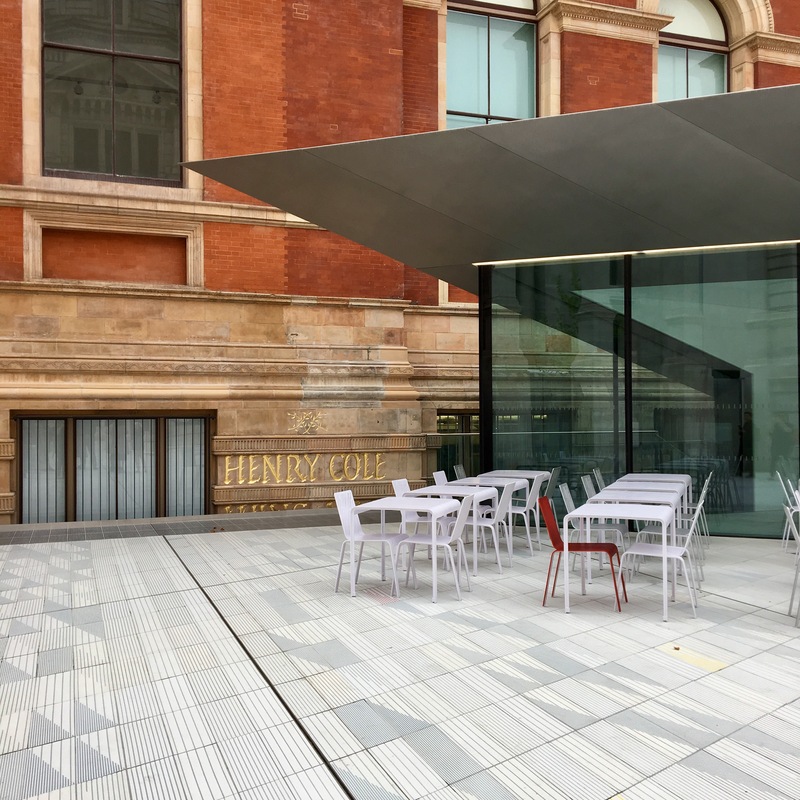 The cafe area is housed under this handsome wave of tiling, and is a major design element of this space, which is being hailed as an outdoor room for the V&A, which can be home to sculptures, performances and installations. 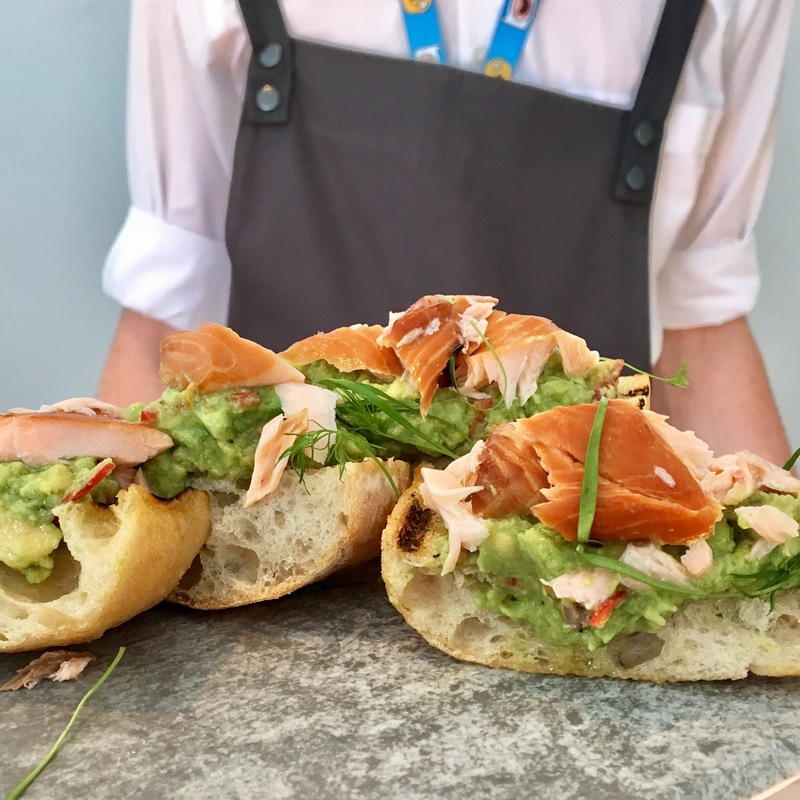 The cafe is being operated by Benugo, and we were treated to some of their menu offerings at the event – the salmon and avocado bruschetta is out of this world! 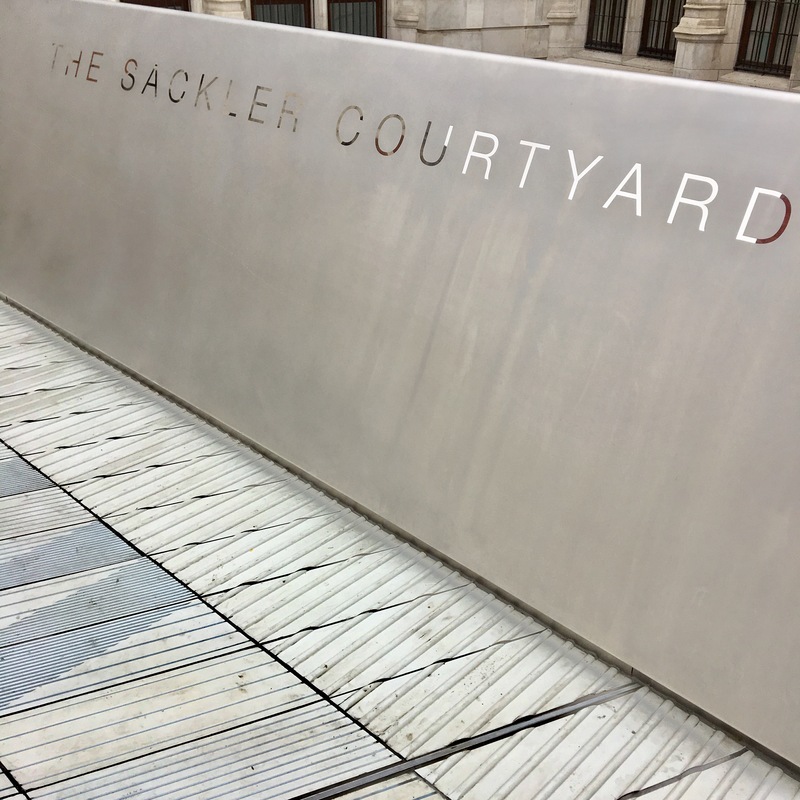 The Sackler Courtyard also has another incredible feature – it’s the only porcelain tiled courtyard open to the public in the world. 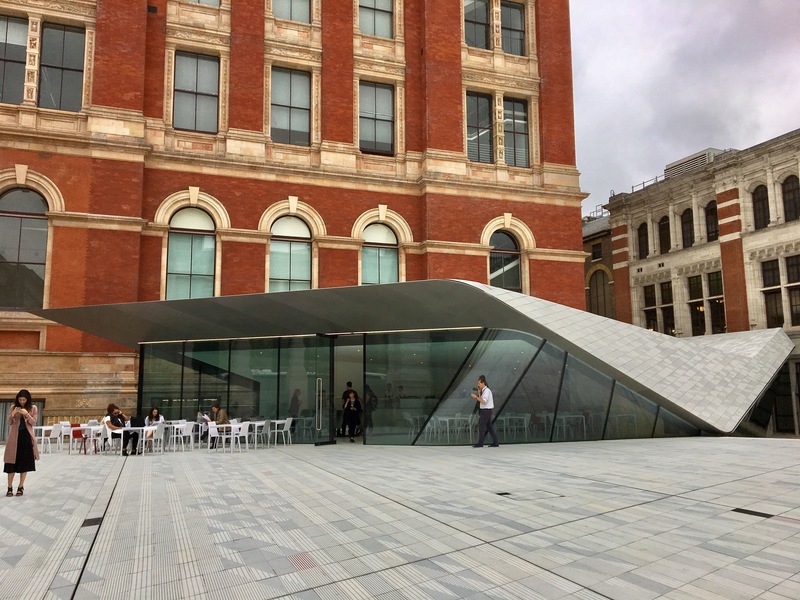 Taking inspiration from the rich traditions of ceramics already displayed at the museum, the 11,000 tiles here also repeat the architectural pattern beneath, deriving their design from the structural truss below and cleverly using this to create the nonslip surface of the courtyard. They were developed over a period of years by Koninklijke Tichelaar Makkum, the Netherland’s oldest registered company. 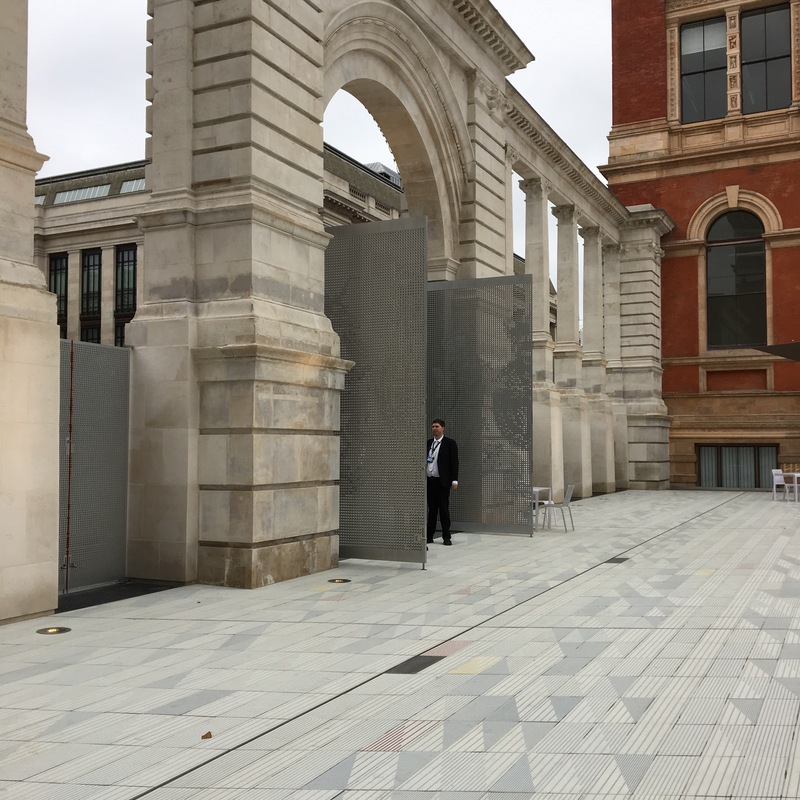 More difficult to capture with my camera was the reimagining of the Aston Webb Screen, which originally hid this area from public view on Exhibition Road, and separated the museum from its nearest neighbours, the Geological Museum, Natural History Museum and Science Museum. 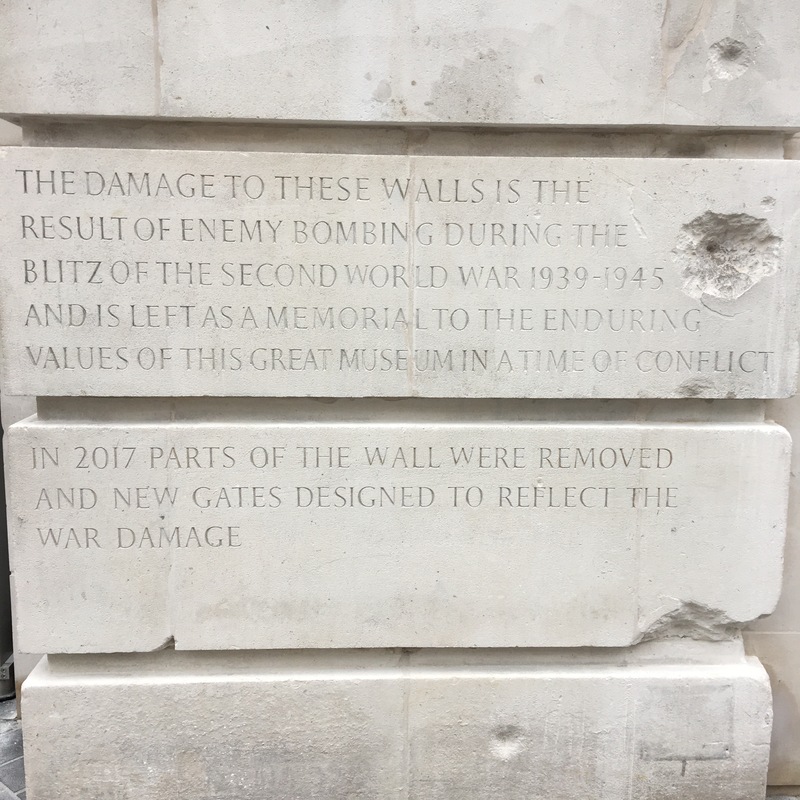 Originally a shrapnel-pocked brick wall with a gate topped with the royal crest, the screen has been transformed into a see-through metal mesh that uses perforations to recall the original WWII damage, maintaining a link to one of the most important events in London’s history. My favourite piece of trivia from the talk about the new entrance was to do with the royal crest. 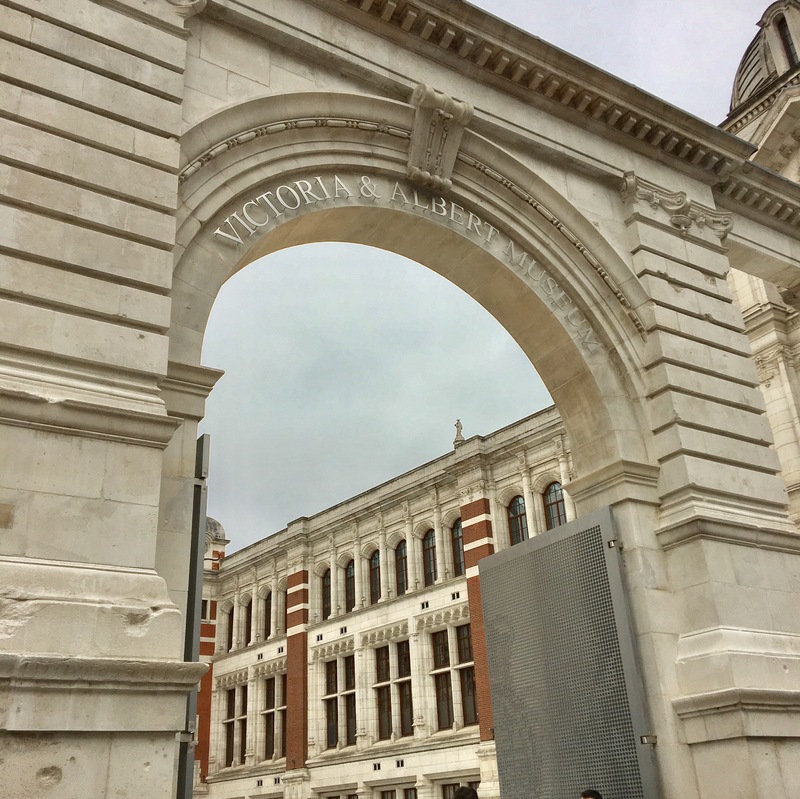 Originally, there was nothing in the brief about retaining this aspect of the design, but during the beginning phases of the project, as the nation entered into an era of austerity, the architectural firm decided to include a reminder about the royal origins and patronage of the V&A front and centre. Read into that what you will! 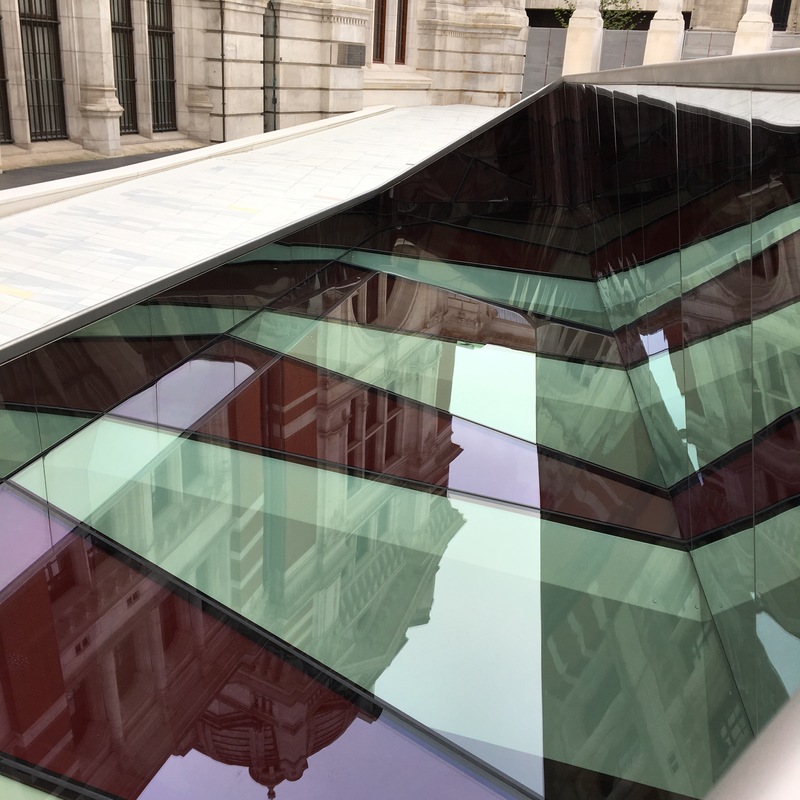 The other major visual design element of the Sackler Courtyard is the occulus – a glass skylight connecting the courtyard to the exhibition space below. The occulus is envisioned as a museum display case (or vitrine), with the exhibition space below becoming the object on display, with the red glass symbolising the vitrine’s traditional red velvet lining. 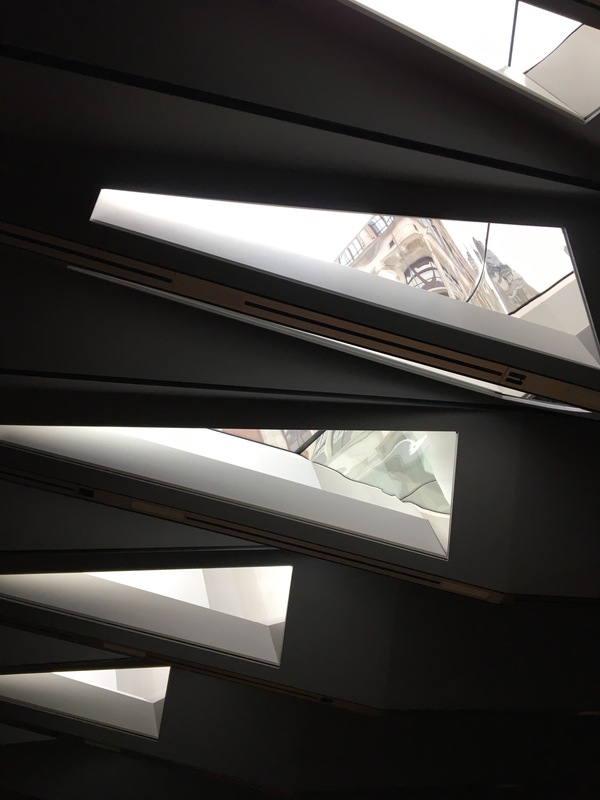 It also provides dramatic natural lighting to the space below, as well as views to the courtyard from inside the exhibition space. 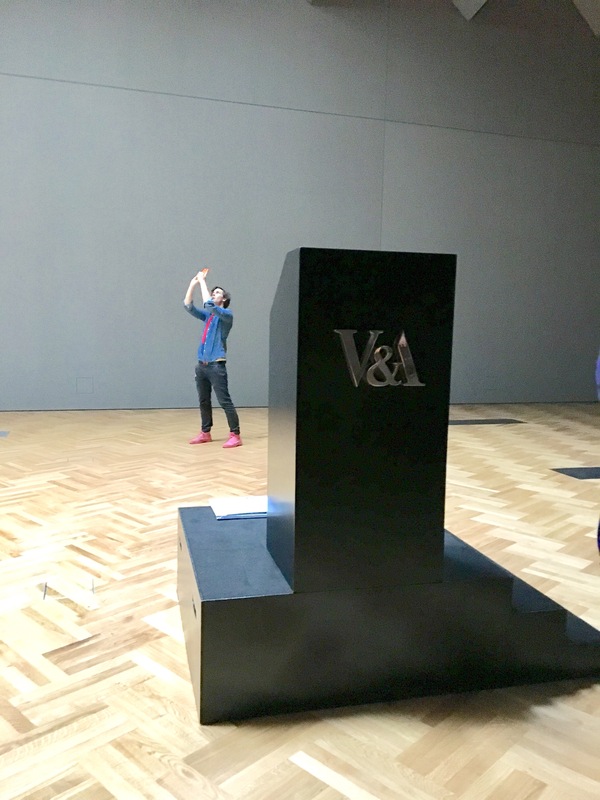 Here you can see Project Architect Matt Wilkinson of AL_A taking a snap through the occulus during the launch event, from inside the empty 1,100m2 Sainsbury Gallery (the equivalent size of five and half tennis courts!). The Project Principal is Amanda Levete, and Project Director Alice Dietsch. I was very privileged to chat with Matt on my way out of the launch – he’s incredibly generous with his time and so passionate about this project that it’s infectious! 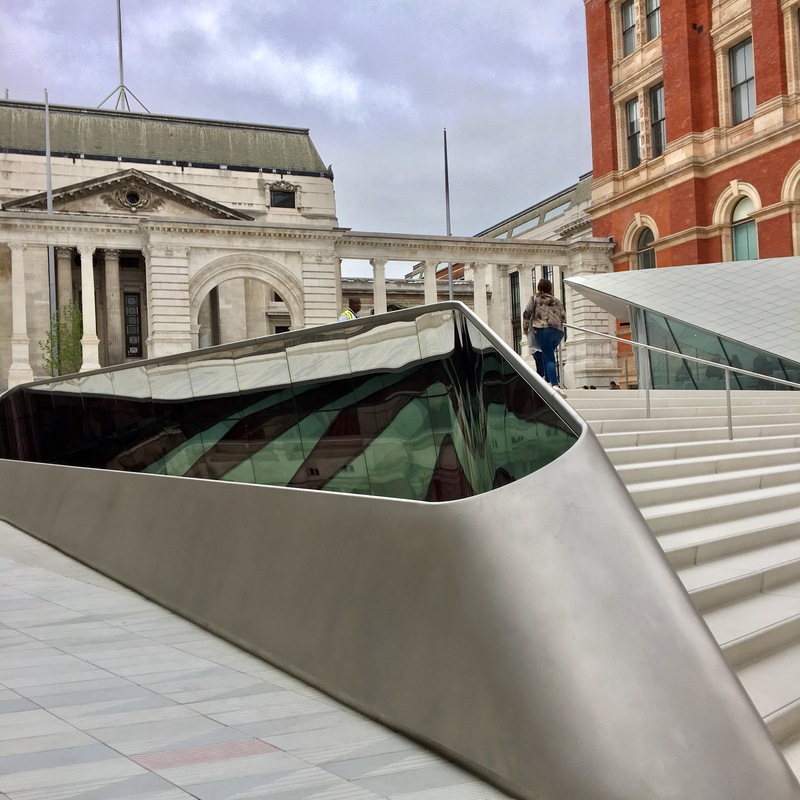 The new Sainsbury Gallery is enormous, and hauntingly beautiful in its darkened, naked state, awaiting the first temporary exhibition of many; Opera: Passion, Power and Politics, which opens 30 September until 25 February 2018. 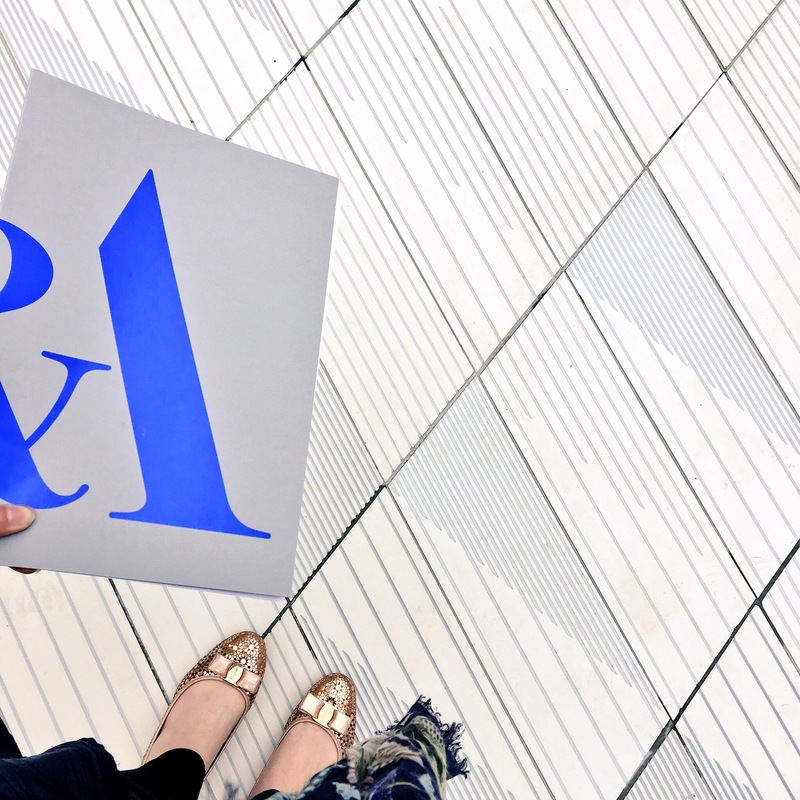 The Reveal Festival will run from 30 June – 7 July with free admission, and will be the only time the space will be open to the public in its natural, raw state. 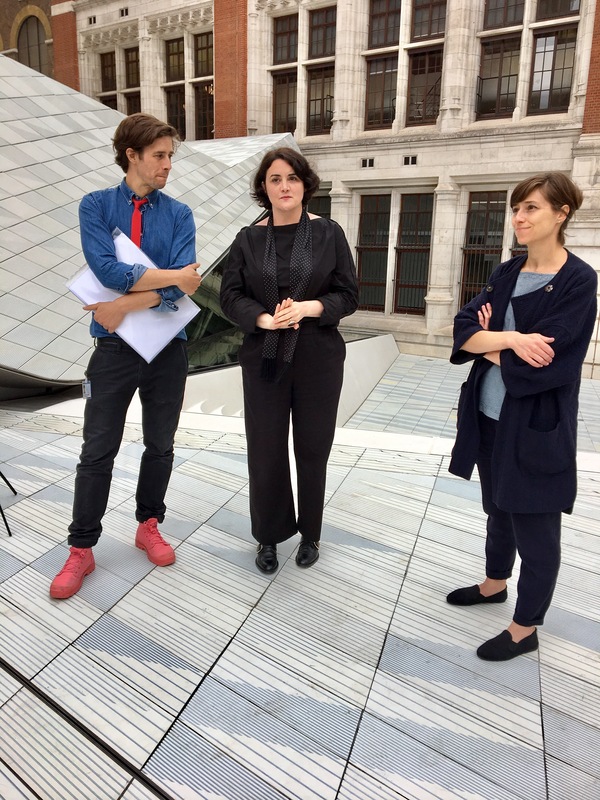 I was incredibly honoured to be invited to the launch, and I hope I’ve piqued your interest in visiting this new area for yourself – the largest building project undertaken by the V&A in 100 years! 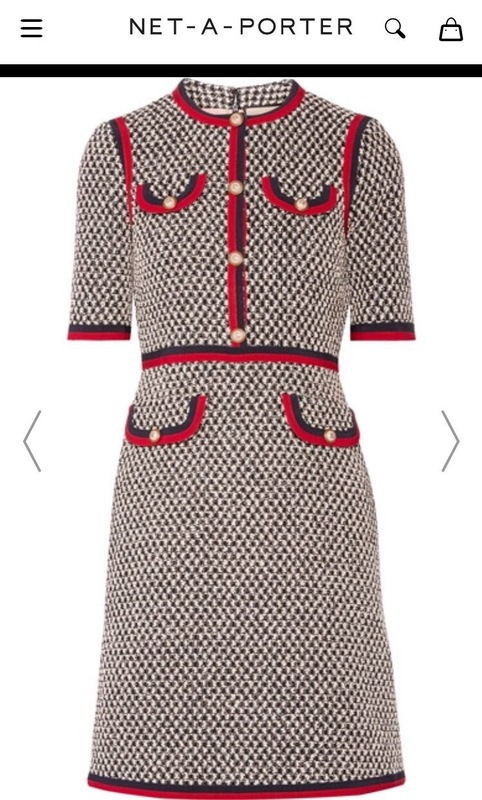 Pingback: Kate Attends Victoria and Albert Museum Re-Opening in Gucci - What Would Kate Do?